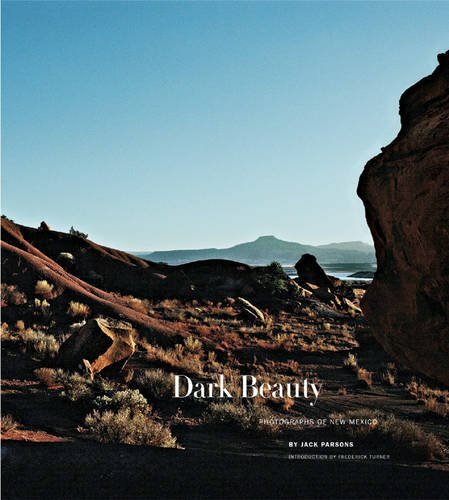 Dark Beauty features more than 100 photographs by Jack Parsons of New Mexico, culled from his favorite scenes shot during the last 25 years. From images of small towns and lonely plains, mountains, rivers, fiestas, and murals to old adobe houses, crumbling walls, and dirt roads in Santa Fe, Taos, and elsewhere, Parson’s photographs present a very personal, elegiac vision of the state where he has made his home since the 1970s. These photographs reveal a deep understanding and reverence for a place whose complex, rich history, unique multiculturalism, and unparalleled beauty continue to captivate residents and tourists alike.